I started long time ago with several film manual 35 mm SLRs and point-and-shoots. Then came a digital era, and I purchased several generations of Minolta DiMAGE pocket cameras. For my downhill skiing trips I wanted a rugged, dependable miniature and intelligent cameras with viewfinder, minimum of controls and ability to shoot movie clips. Back then DiMAGE cameras met my all expectations. I used them at home, daily at work and during vacations. Unfortunately Minolta folded before producing a compact camera with image stabilization. IS is very important for low light shooting from hands. During my September trip to the picturesque Greek Santorini island my DiMAGE X50 had to struggle on it’s own with both strong and low lighting of day and night. There thoughts of a better camera with manual controls came to my mind, views were so precious! 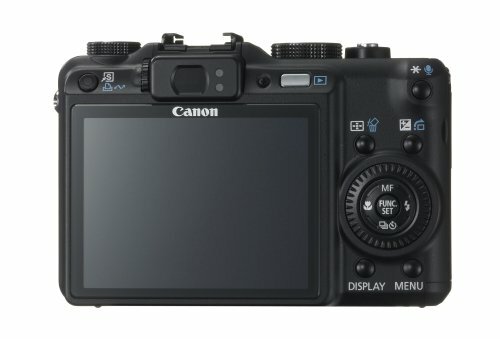 I carefully studied reviews of DSLRs, looked at them – O boy, they are bulky, and they do not shoot movies! Super-zooms with fixed lenses were not smaller either. Thoughts of falling again during skiing on such camera didn’t make me happy – I had few of them. 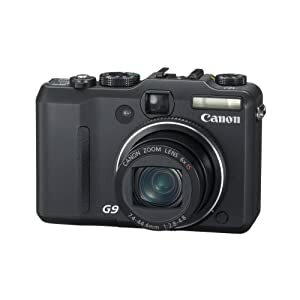 Suddenly I stumbled upon Canon G9 review – it was what I wanted: relatively compact, flat, almost no protruding parts, small Lithium battery, compact but effective optical image stabilization, F2.8 35 mm 6x zoom lens , amazing 3″ LCD + viewfinder, ergonomic manual controls, black, takes movies and have newest 12 MP image sensor. I immediately ordered it on Amazon because of better price and assortment of options available; I wanted a decent camera case with it as well. UPS ground parcel came shortly; camera was safely packed and started to work right away. I used camera only for a month so far at home and outside. Quality of the pictures with stunning details exceeded my expectations. Skin tones in portrait shooting came out so good! DiGIC III processor was able to adjust even to strong back light conditions. During night shooting I saw IS kicked in: pictures came out sharp and colorful. I took Halloween pictures in a dimmed light using built in camera flash and got praises from my friends on the web photo album; velvety fabrics came out beautifully. I shot several short movies at standard resolution at 30 fps – they came out crisp and well balanced with good sound from the built-in microphone. 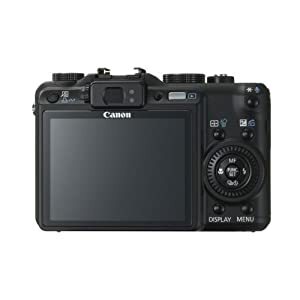 I’m wondering: does G9 sensor provides pixel binning for a movie resolution, or is a better sensor? My Minoltas with rise of sensor pixel count would capture exceedingly darker and blockier movies. G9’s black paint makes it to look larger and heavier, but it feels just right in hands and don’t strain my shoulder on a strap. Lens on power up/down telescopes in and out fast, and hides behind the lens protector – no lens cap needed. Shooting lags for portraits was imperceivable. LCD image is so good, even with sun beaming behind – I didn’t glance into viewfinder yet. 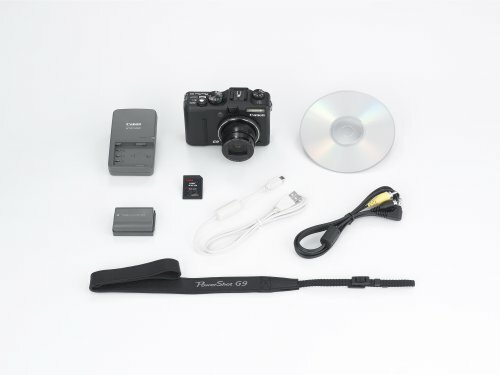 Shutter release is a feather like comparing to Minolta’s; at first I was struggling to find “half way” for the focus check. So far, I charged battery only twice during a month. Soon I will take G9 for a first skiing trip, details to follow.Overall impression about the G9 camera is excellent, it even exceeded my expectations! I’ve had the opportunity to put this camera through some heavy use and perhaps my experience will be of use to others.The Powershot G9 has been with me through India, East Africa, Dubai, and New York City. It has logged about 25,000 air miles and taken photographs as varied as babies playing inside museums (no flash photography allowed), to slum dwellers playing soccer in Mumbai. Generally, I found that the camera works well. The “usage modes” do less than you might suppose; I ended up going with aperture-priority much of the time. The ability to shoot videos was nice, but only at slow velocity (an attempt to film the ground speeding by underneath a flying helicopter resulted in a long, green blur). Audio annotations worked well.The camera is easy to use, at least if you’ve dealt with Canon’s digital cameras before. I’ve not had to read the manual yet. The range of the zoom lens has been adequate and, at the wide end, f2.8 is a usefully quick lens.What’s not to like? Images become unacceptably grainy above iso400. The built-in flash gives lousy results most of the time; subjects close to the camera get overexposed unless you partially obstruct the flash with a finger. Manual focus is hopeless and it is essentially impossible to dictate where the camera should focus, especially in low light. Despite the option of full manual control and producing RAW files, this is still a point-and-shoot camera at heart. 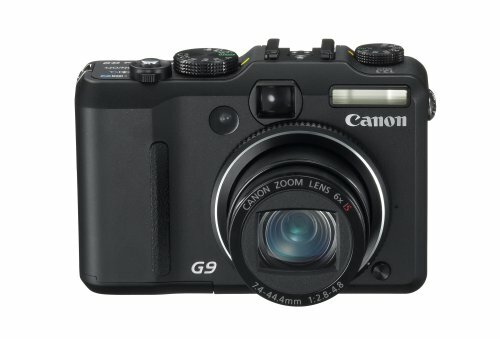 I’ll preface this by saying that my photographer friend and I, who both own Canon’s excellent 5D DSLR, both purchased a G9 from Amazon to be our “grab-and-go” compact cameras so we would not have to always lug around the 5D and its lenses. We are both members of the local camera club. Amazon came through with their as-promised delivery time, as usual. I’ll admit that I am totally spoiled by Canon’s 5D, and, as such, my G9 expectations were probably bound to remain unrealized. 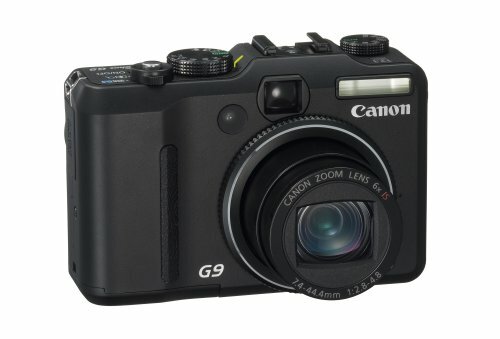 Nonetheless, there are many “good” G9 reviews. The first thing that I noticed was that there is noise that simply cannot be ignored: shoot at ISO 200 and there it is.So, what I take for granted: using most any ISO that I want to capture a low noise image, just cannot be taken for granted with the G9. To be fair, just about ALL compacts suffer from this shortcoming, more or less. For the price I expected “a cut above” in performance. My friend noticed the same thing. Even though Canon software has adaptive noise reduction to minimize this annoyance, it’s “just one more thing to worry about,” and, in fact, was the deal-breaker for my friend who reluctantly took advantage of Amazon’s outstanding returns policy. My G9 had one more surprise in store for me: it almost unerringly “back-focused” so that the subject in the “focus square” on the LCD came out “soft” while the background immediately behind the subject was in sharper (but not tack-sharp) focus. My friend’s G9 produced sharper pictures than mine did with no back-focusing problem. 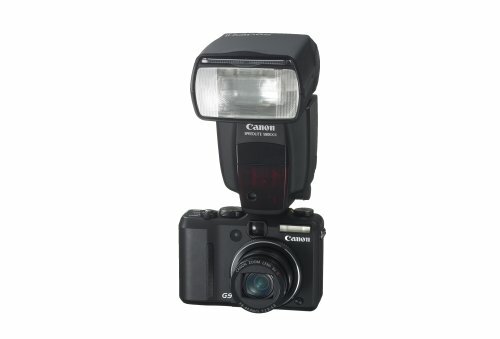 My wife owns a Canon Elph ( SD700 IS ) camera that she keeps in her pocket. It takes great pictures for what it is, and she loves it. My Canon 5D DSLR is simply great, and I have won many blue ribbons in juried competitions with it. I had hoped (perhaps unrealistically) to get another Canon with at least some of the ease of picture-taking that the 5D offers. Although a properly working G9 is probably somewhat superior to the usual compact cameras offered today, if you are seeking a “photographic tool” that won’t get in the way of deliberate artistic picture taking, try out the G9, but don’t throw away the packaging material that you may need for a return. 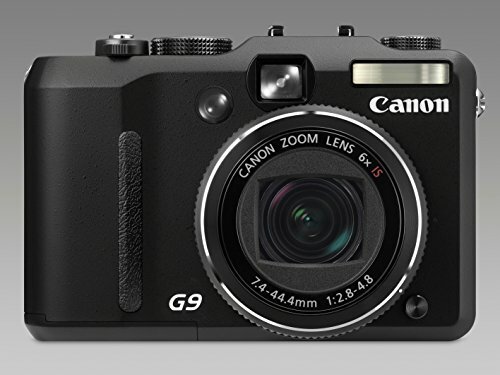 If you are seeking a grab-and-go compact camera that has a LOT of DSLR-type features in a slick “retro” package, you could do a lot worse than the G9. I also own an old clunky 7MP Canon G6 which still takes OK pictures. I’ll use it until something better than the “OK” G9 comes out. 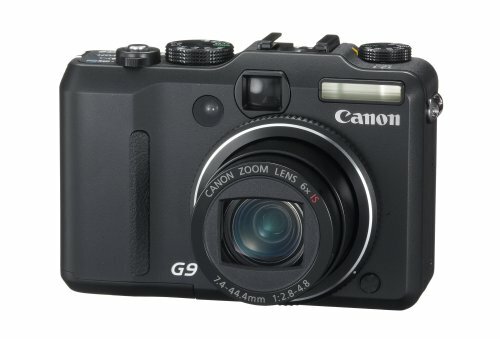 For ME, the G9 is just too much of a compromise for $440,although, if it was a GREAT compact, I’d be willing to pay more. As you can see, it all depends on what YOUR requirements and expectations are. I feel almost guilty giving the G9 3 stars since I really like the other fine Canon cameras that I own. But, for the G9, it is what it is, for me. And YES, when the new Canon 5D comes out, I’ll be trading up. This camera has all the features that I was looking on a digital camera. I been using it to take family pictures in birthdays and road trips. If you are looking for a camera that takes better pictures than your cell phone, stop looking and buy this one. You won’t regret it.